Maintaining good, consistent oral hygiene is the best way to preserve your natural teeth. Brushing and flossing daily will prevent microbial biofilm overgrowth. Biofilm overgrowth is often a breeding ground for bacteria that can cause gum disease, tooth decay, and eventually teeth sensitivity. Even with regular oral hygiene, teeth will wear with time. Also, your teeth will slowly lose their outer shell -enamel. Some people have more rapid enamel loss than others. It depends on their habits, the types of foods that they eat, and their frequency of eating. The quality of their saliva also matters. Find out what this rapid enamel loss means. When enamel is lost more rapidly than normal – due to acidic diet and limited compensatory mechanisms of saliva – thinning of the enamel occurs. The thin enamel can result in teeth sensitivity. This process is called “dental erosion” and is diagnosed by telltale ‘etchings’ in the tooth structure. The presence of acid makes these etchings, and you don’t need to have plaque to experience it. 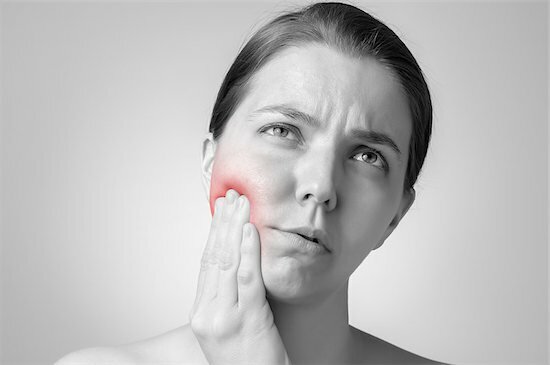 Dental erosion is often associated with medical issues like acid reflux disease, gastritis, and bulimia. However, in most cases, it’s not connected to an internal affliction. And even if you brush and floss every day, simply using the wrong mouthwash can leave your enamel susceptible to even more wear. Most common beverages can also erode your teeth, regardless of your oral hygiene habits. Carbonated soda with phosphoric acid – like most leading Colas – are major offenders. Prolonged exposure to the acids found in wine or even drinking juice on a daily basis makes teeth vulnerable to enamel wearing away during normal brushing or chewing. While infrequent or improper brushing quickly makes matters worse, just the presence of acids in these drinks is enough to cause structural damage to the teeth. Beverages aren’t the only dietary cause of dental erosion, either. Sour candies with high concentrations of citric acid and vinegary foods like pickles or hot sauce can contribute to the telltale acidic etchings. It might sound like dental erosion is unavoidable to some degree, but the good news is that good oral hygiene – and mindful eating – can prevent unnecessary wear on your enamel. That means restricting acidic foods to mealtimes, cutting back on sugary and carbonated beverages, and making sure not to leave residue from food or drinks lingering in your mouth after you eat. Also brushing your teeth before meals, rather than right after, is wise. After meals or acidic beverage, it is important to rinse with plain water to neutralize the acidic effect on teeth. That means no sour gummies during that after-dinner movie – and maybe skip the wine tasting.